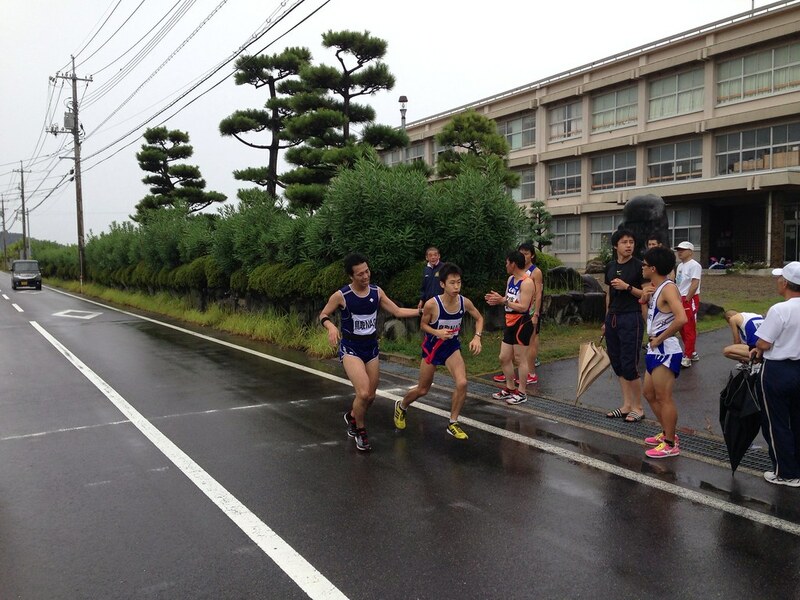 Yesterday was the 67th Tottori Prefecture Central Division Ekiden. 18 teams were represented, 10 in the 'City' category, 4 in the High-School one and 4 in the 'General' one (companies, Post Office etc…). 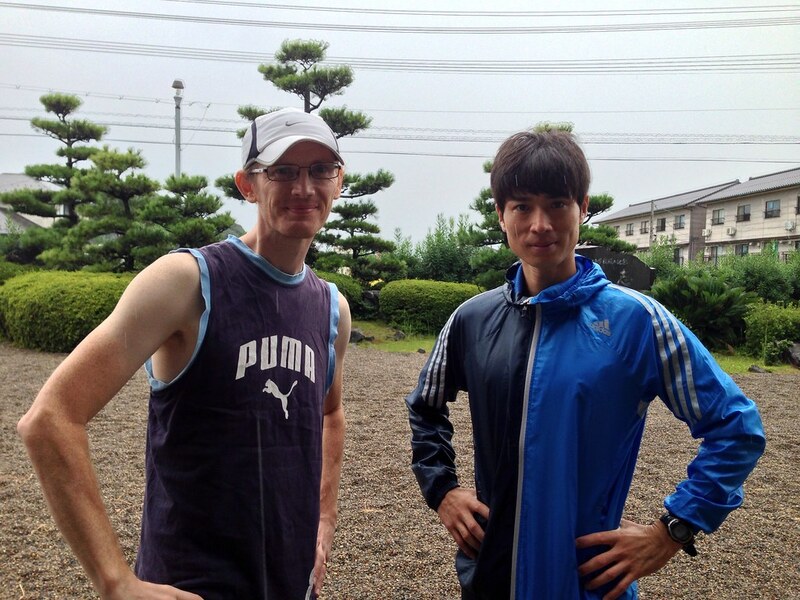 I was in one of the team of my 'City' (more a collection of villages though), Hokuei Cho, it seems we have a larger base of runners than other areas as we have 4 teams! The last 3 months I have been training once a week on the track with the runners of the A team, I can not follow them always (yet;-) but that was very good for me to improve my speed and resistance. 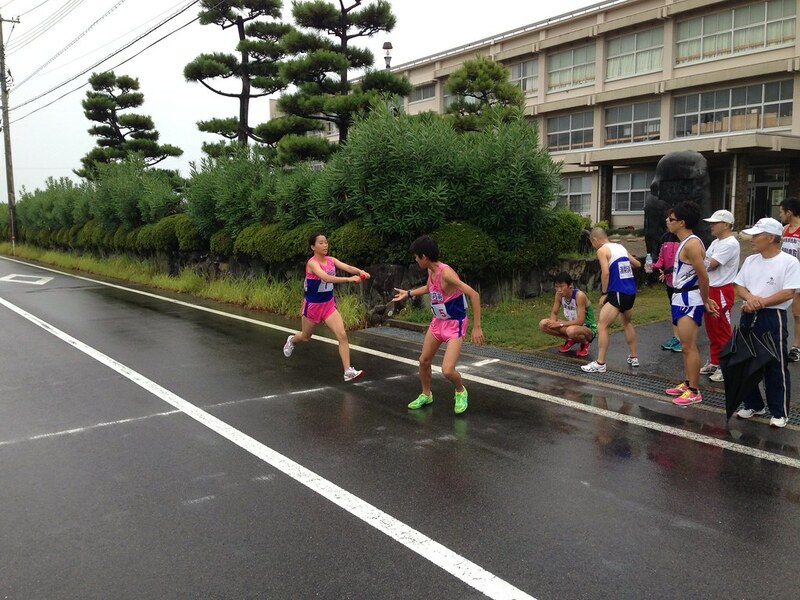 This Ekiden was divided into 8区 (Ku = division). 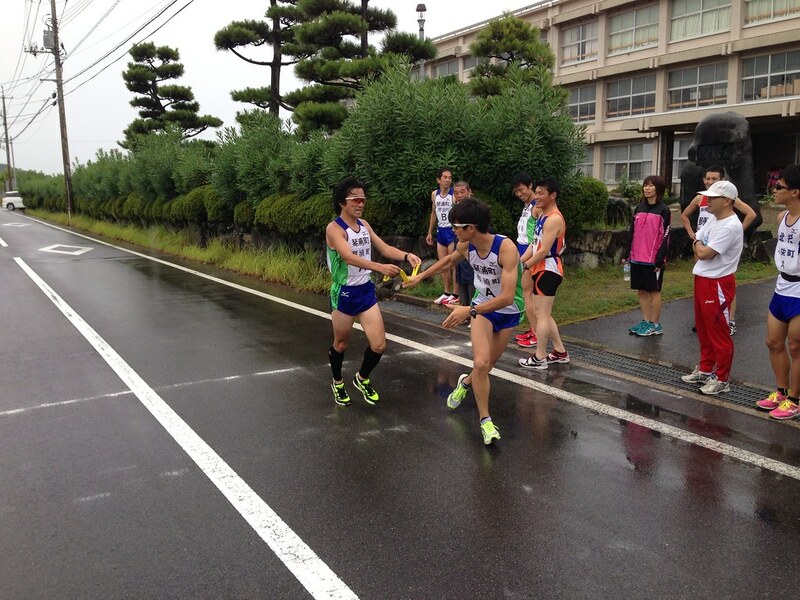 I ran the 5th Ku which was also the 'longest' one with 7.8k others being from 5 to 6.6k. 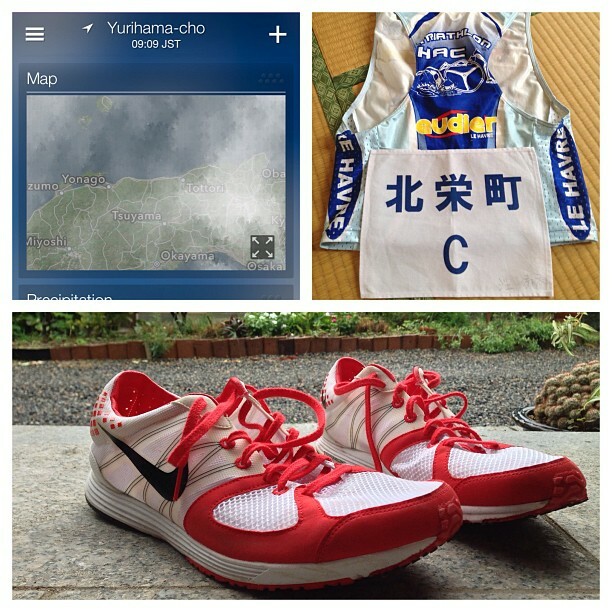 A very good test for me as I will be racing an olympic distance triathlon in 2 weeks in Kasai, Hyogo Prefecture. My goal this time was to reach an average pace of 4 minutes /kilometer. From what I did recently at training it seemed possible. The weather was good for me (for once! 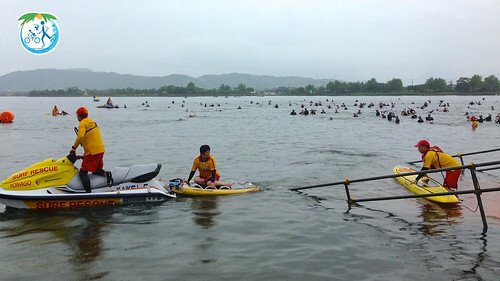 ), temperature was 23˚C and raining (I don't mind that). 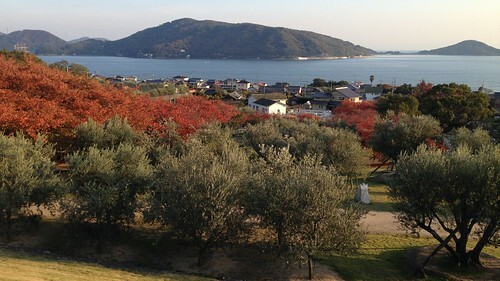 Luckily (for us…) the typhoon that hit Japan this week-end moved more to the East. Among the 10 teams of the city category I took the 7th time for this Ku. But I am actually very pleased with it as I could reach my goal. The last kilometers with a slight slope slowed me down but otherwise I was keeping a 4'/k pace, even reached the 5k in 19:22. Yoohoo! :D This is simply my fastest run since I started to train again almost 3 years ago… Yep it took some time to reach my 25y.o level again (that was when I just started triathlon). 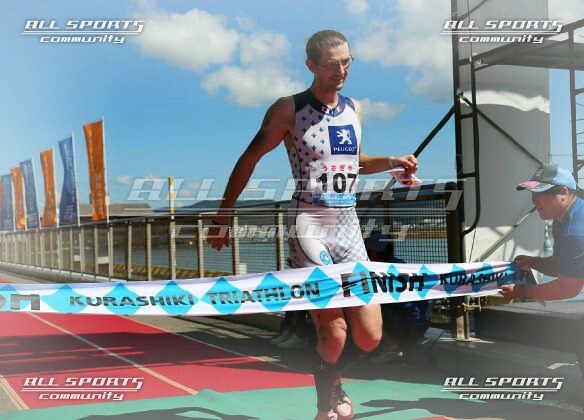 But 6 years off of serious running is long (I am going to turn 39 in a couple of months). So nothing crazy but I know I am on the good track towards my eventual goal to reach maybe 37'/10k again someday. But that's going to be very tough. 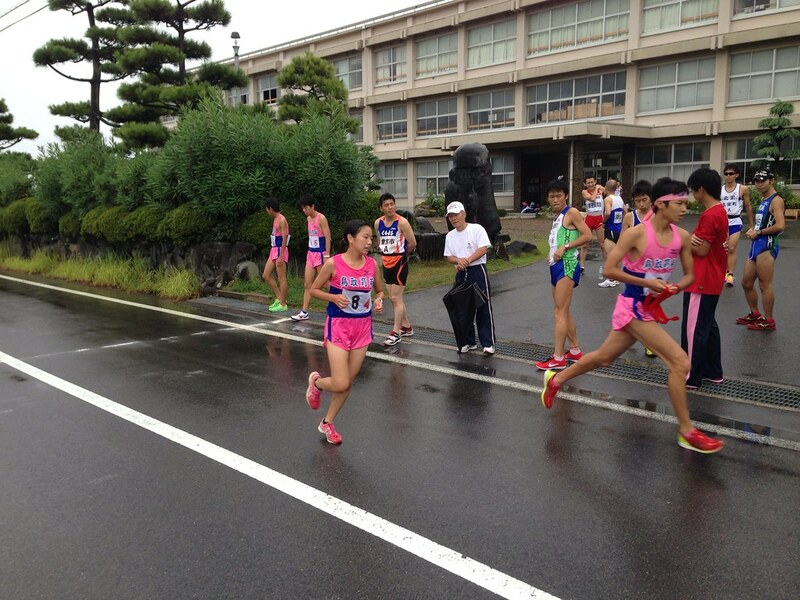 As for the whole results, the general level of runners is quite impressive, many many runners at the 3'30"/km level and even faster, especially in the high-school teams (which was also composed of girls), they were really fast. 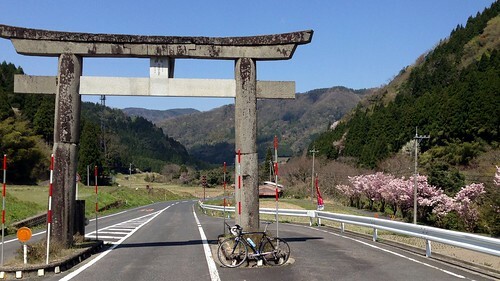 And it was just a race in central Tottori, the least populous prefecture of Japan. 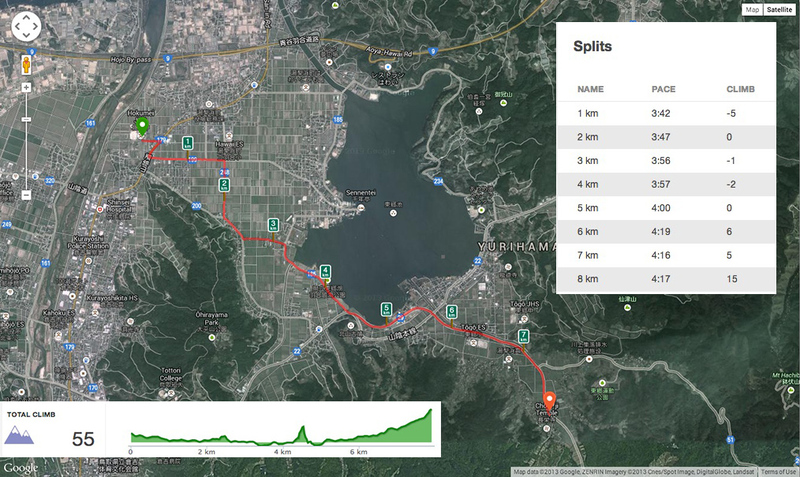 Of course they train almost everyday for this kind of race and distances only but still it is showing the high level of Japan in endurance running. No relation with the article but just wanted to share this shot I did tonight after some maintenance on the bike.